The academic year consists of two semesters. 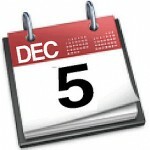 Winter term (Wintersemester, WS) starts officially on 1st October and lasts six months. Summer term (Sommersemester, SS) then starts officially on 1st April and lasts until the end of September. However, the period with lectures and other courses (Vorlesungszeit) is shorter. In winter, there are no courses between Christmas and Epiphany (6th January). The exams usually take place at the start of the lecture free period (at the end of February / the end of July). 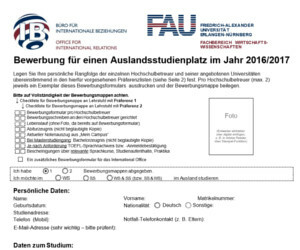 The course prospectus of the FAU contains all courses (lectures, seminars, classes) for the following semester. It can be found online under univis.uni-erlangen.de.